We held our second TICTeC conference in Barcelona at the end of May. The feedback has been generally very positive, and there are many aspects that we were very pleased with: the quality and diversity of the speakers, the smooth running of the event, the opening up of debates that will continue to resonate in the civic tech world. But, nothing’s ever perfect, and on reflection there are some aspects, some large, most small, which we can improve for our next big event. These are conversations that often happen behind the scenes, but we thought it might be useful for anyone else planning a big event or conference, if we share some of the things that didn’t work so well, and our plans for making things better next time. Please do feel free to join in the discussion in the comments below, whether you were there or not. It was obvious from the number of hands up, and disappointed faces, that we hadn’t allowed enough time for questions or discussion about the presentations. We’d allocated twenty minutes’ speaking time to each speaker, intending that slot to include questions and discussion. But most speakers filled, or almost filled, their time with their presentation. Next year we propose formally splitting the slot into 10 minutes of presentation time and 10 minutes of discussion time for each speaker. Oh, and although we were sitting in the front row waving ‘five minutes left’ cards in the speakers’ faces, we appreciate that there are improvements to be made here, too. We’ll use countdown clocks to make it very easy for the speakers to see how much time there is left. mySociety cares so much about gender balance that we even built an app around it. And yet we could have done better when it came to the gender balance of the panels. Speakers were chosen on the quality of their submission, and while we don’t believe we have any internal biases we’d be interested to see what happened if we introduced an entirely name- and gender-blind selection process. For 2016, there were no all-male panels, but overall the gender-split of speakers was 60% male to 40% female (incidentally, the same gender split as made up the delegates as a whole). Also, there was a strong European and US bias among our speakers, with only 8 out of 62 coming from outside North America or Europe. So we could be criticised for giving a voice to those who already speak quite loudly enough in the civic tech world. We’ll definitely aim for more equal balances next year. No-one likes lugging their heavy bags around, and this especially becomes an issue on the final day of an international conference, when people may have checked out of their hotel and have their luggage with them, too. Yet in our chosen venue, there was nowhere for people to put coats and bags. This is a pretty simple fix — we’ll make sure that there’s a secure cloakroom next year. Coffee was only available during breaks, and wasn’t self-service. Conferences run on coffee (and tea) — we know that — but it was whisked away at the end of the breaks and people had to wait to be served when it was there. Next year there will be limitless, self-serve coffee available the whole time. Because it’s important. There was no real networking/seating area. Other than in the auditoria, there wasn’t a space where people could sit and catch up between sessions. That’s partly because Barcelona didn’t pony up the stunning sunny weather we thought we could rely on, so no-one felt inclined to linger in the outdoor space, but still. Something to allow for next time. There wasn’t enough time for networking/breaks. We crammed an awful lot into the one and half days, but it meant for a pretty packed programme. Next year we’ll run the event for two full days and allow more break/networking time. The venue map should have been printed on the main programme, rather than being a separate insert in the bag. That was confusing and yet another piece of paper for people to wrangle. We needed more mySociety people on hand. We ran the whole event (including note-taking and session chairing) with a team of seven. With more people, we could have ensured that, for example, the reception desk was always manned. Raising the numbers would also make things a little less stressful for our team. The wifi wasn’t great. This is a perennial issue, we know. It’s hard to know how a venue is going to perform when there are 140 people with multiple devices each trying to get online. Next year we’ll try and contact those who ran previous events at the shortlisted venues to find out how things were for them. At the last moment, we decided to introduce a Code of Conduct, setting down in black and white what kind of behaviour was not acceptable at the conference, and providing an anonymous route via which to report any contraventions. We’re glad to say that this wasn’t used — we hope we’re right in surmising that this is because it wasn’t needed — but more than one delegate thanked us for putting it in place, and it’s something we’ll be replicating and refining for future events. The chairs have been stacked, the banners rolled away, and 142 delegates have returned to their 29 home countries. TICTeC, the Impacts of Civic Technologies conference, is over for another year. The 1.5 day event saw a concentration of wisdom and expertise from across the civic tech sector, and we’re keen to ensure that we share as many insights as possible. To that end, we’ll be publishing materials such as photos, videos and slides, as soon as we can. We hope that, if you weren’t able to attend, they’ll give you a taste of the TICTeC experience — and, if you were there, they’ll serve to keep it fresh. Some materials will take a little time: videos, for example, are currently in post-production, and should be ready within a few weeks. We’ll be announcing on the mySociety Twitter feed, Facebook page and this blog when they’re online, or check the TICTeC resources page. Slides from all the speakers Click on each speaker’s name to access them. Photos: all under Creative Commons, so feel free to download and share them if you wish. A Storify to help you relive the experience through hashtagged tweets and photos. The TICTeC Google Group: everyone who attended the conference is a member, so this is the place to continue discussions or begin new ones. Thanks so much to everyone who participated, making TICTeC a real success. We hope to see you all again. Yes, time flies — TICTeC really is tomorrow! We’re looking forward to hearing from those at the heart of civic tech research. We can’t wait to see old friends and make new ones, too. But if you can’t be with us for this unique conference on the impacts of civic technologies, don’t despair. You can follow along via the #TICTeC hashtag, which we’ll be encouraging people to use across all the usual channels. Of course, we’ll also be busy taking notes, photographing and collecting footage for blog posts and videos after the event, so watch this space for those summaries. And now: off to Barcelona. ¡Hasta mañana! TICTeC is our annual conference on the impacts of civic technologies. It’s a great chance to hear from researchers and practitioners right across the sector, from many different countries and with many different approaches. Not least among these will be our keynote speakers. Today, we’re delighted to announce the first of these: Helen Milner OBE, CEO of Tinder Foundation. Helen has had a long history in delivering training around the internet and particularly, as a means of addressing social exclusion. Hi Helen. Give us the elevator pitch: what will you be talking about at TICTeC, in a nutshell? Is civic tech an amusing pastime of the middle-classes? I’ll be putting a series of questions: is digital trying to fix outdated modes of democracy? Are people getting increasingly detached from politics and do they feel that democratic structures are impenetrable no matter how much politicians tweet? Is civic tech an amusing pastime of the middle-classes? Or can communities co-design a better future for everyone using tech? There are lots of clever people developing democratic and civic tools and apps to help people have a voice—but unless people have the skills to get online, and to use these apps, they will remain the preserve of the digitally confident. I will be trying to answer some of these questions and discuss how our efforts can make maximum impact for most people most of the time – and leaving no-one behind. And why should people be excited by this? As the world becomes increasingly digitised, we cannot allow the chasm between the digital ‘haves’ and ‘have nots’ to get any wider. At Tinder Foundation, we’re committed to helping the 12.6 million people in the UK—and the next 3 billion around the world—who don’t have basic digital skills, and so who aren’t realising all of the benefits of the digital world. My work as a Commissioner for the UK Parliament’s Digital Democracy Commission brought me up close to the barriers of history and culture looking from the inside out. What are you hoping to get out of TICTeC? Tinder Foundation’s ethos is very much about taking collaborative approach to extend our reach and ensure that our models of delivery are co-designed for social challenges, rather than assuming a one-size fits all approach. I’m excited about being part of the conversation so that together we can ensure that democratic and civic technology is accessible to everybody in society. Where does your passion for digital and social inclusion come from? In the UK there are still a shocking 12 million people—and 3 billion worldwide—who lack the basic skills to use the internet and benefit. I went to school in south London where I was educated alongside people from all different backgrounds and have always believed in equality of opportunity. In the UK however, there are still a shocking 12 million people – and 3 billion worldwide – who lack the basic skills to use the internet and benefit. By not helping these millions and billions of people gain we are further marginalising the most disadvantaged people in society as well as making it less easy for them to have a voice. My role on the Digital Democracy Commission presented recommendations about how everybody in society could engage with the democratic process via digital channels, for example the potential for online voting and a website to help make politics more accessible to those who aren’t currently engaging with politics (such as young people). The commission also made a strong case for investing in digital skills training in order to ensure that people can participate with a more digitised political system in future, and the same goes for civic tech. If you could make one recommendation to those developing new civic tech, and wanting to see real impact from it, what would it be? Civic tech is about more than just technology—its evolution should be driven by a desire to include everyone and empowering everyone to participate in decision-making about matters that impact on them: community, housing, education, transport, the environment, budgets, et al. Unless there is a shared commitment towards ensuring everyone can engage with democratic and civic tech, the power to influence change in society will continue to be held in the hands of a committed few. 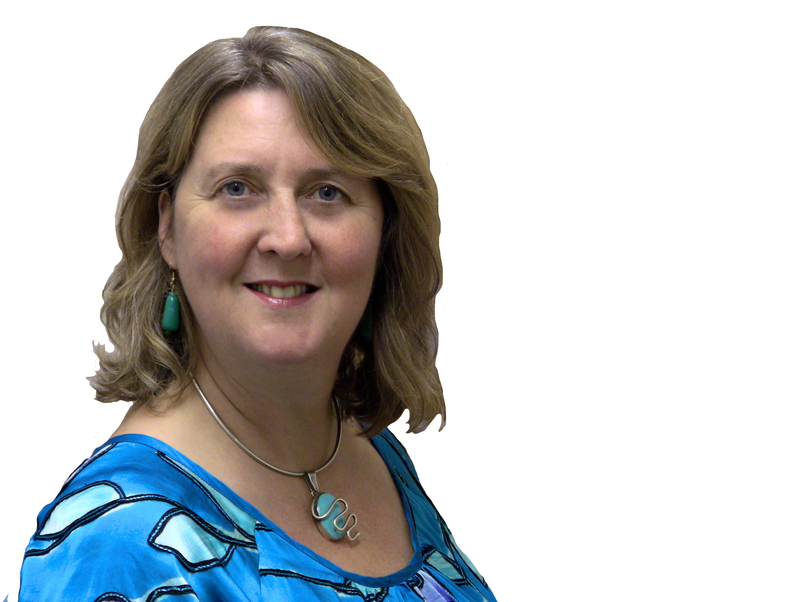 You won’t want to miss what Helen has to say at TICTeC, so make sure you book your tickets now. 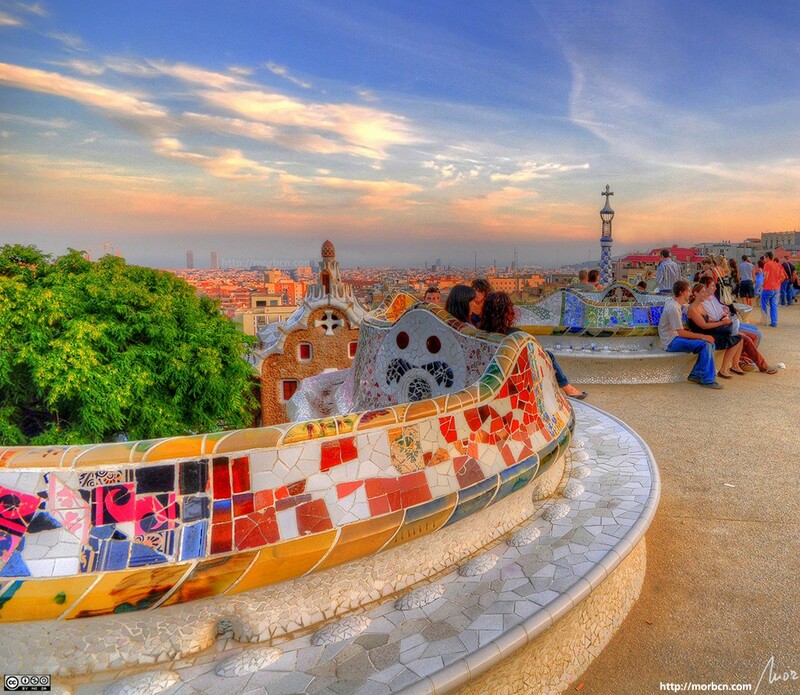 Earlybird pricing runs until February 19.
mySociety is delighted to announce that TICTeC2016 – or to give it its proper name, The Impacts of Civic Technology Conference 2016 – will be taking place in Barcelona on 27 and 28 April 2016. Returning for a second year, TICTeC is the world’s only conference dedicated to exploring the impact that civic technology and digital democracy are having upon citizens, decision makers and governments around the globe. The primary goal of the conference is to promote and share rigorous and meaningful research into online technologies and digital democracy around the world. So, if you have completed research on this theme and would like to present your work, then please do submit an abstract / proposal. We also welcome proposals for individuals to lead workshops or give presentations relating to the conference theme. More information on submission deadlines and registration for TICTeC2016 can be found here.